Stringer models are ideal for modeling reinforced concrete structures mainly exposed to in-plane forces such as diaphragms and shear walls in pre-cast concrete structures. Reinforced concrete is a plastic material which behaves far from elastic as we know from other materials such as steel etc. Therefore, finite element models aren’t ideal for design of reinforced concrete structures, and design by finite element models often lead to far more reinforcement than necessary. Due to minor tensile cracks in the concrete the internal forces will automatically redistribute to where extra capacity is available and lead to increased capacity. The optimal plastic solution, which is the solution with the least required reinforcement is therefore an ideal solution for reinforced concrete. Furthermore, it has been shown that this solution is very true to the actual behavior of reinforced concrete and yields very accurate results with respect to SLS. In the case of a diaphragm with a large cantilevered part, or significant holes. The diaphragm cannot be considered ridged. In this case PolyStringer can be used to determine the reactions in the supporting shear walls based on the distribution that is most gentle to the diaphragm. An example of this can be seen in the pictures to the right. * PolyStringer download link provides trial version of the software. 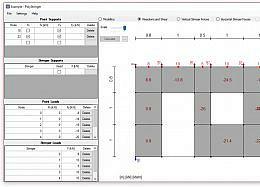 Structures Office supports construction of arbitrary cross-sections, computes area, elastic, and plastic section properties. REMChlor, or Remediation Evaluation Model for Chlorinated Solvents, is an analytical solution for simulating the transient effects of ground water source and plume remediation. The Industrial Waste Management Evaluation Model software is designed to assist you in determining the most appropriate waste management unit design to minimize or avoid adverse ground water impacts. No one has rated PolyStringer yet. Be the first to rate this product. 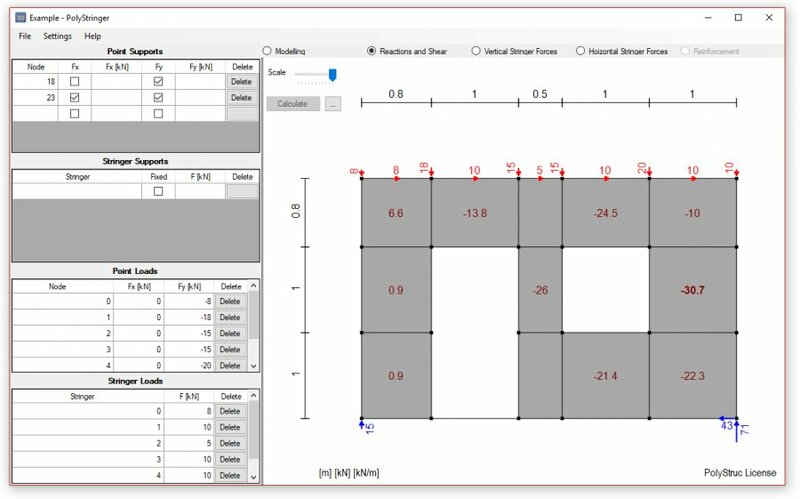 The stand-alone Windows program Phaethon with user’s interface written in C++ offers analysis of shear - critical reinforced concrete columns to its user both for rectangular but also for circular reinforced concrete columns.